Take one to two tablets daily with water. – Convenient flat pack plastic bottle to fit through your letterbox – no need to be home for delivery. 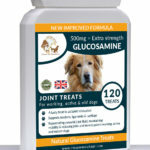 Many veterinarians are just becoming aware of the benefits of glucosamine and chondroitin. Most veterinarians gain their information about new products through major pharmaceutical companies. 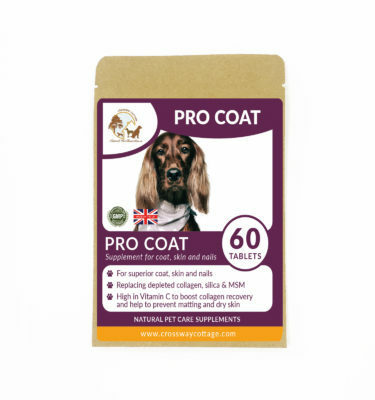 Because the large pharmaceutical companies are not promoting this product, as it cannot be patented it has taken longer to be introduced to veterinarians. Veterinarians that specialise in orthopaedics or who keep current on all new products are usually very aware of the benefits of glucosamine and have used these products for years. 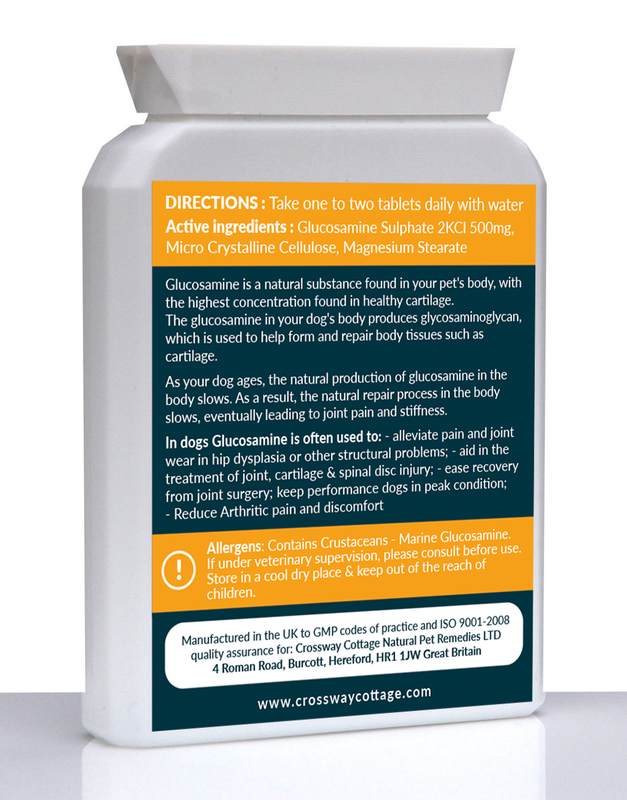 The way that glucosamine works is a very complicated process. In a nutshell, cartilage consists of several different cells, one of which is chondrocytes. Chondrocytes are responsible for synthesising new cartilage. Through normal wear, cartilage is constantly being broken down and replaced. 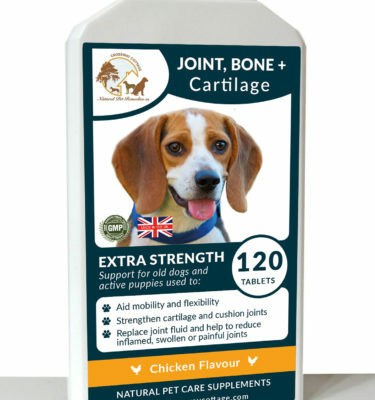 When a dog has hip dysplasia or ages, the chondrocytes do not have the building blocks available to them to build enough new cartilage to keep up with the breakdown of the old cartilage. 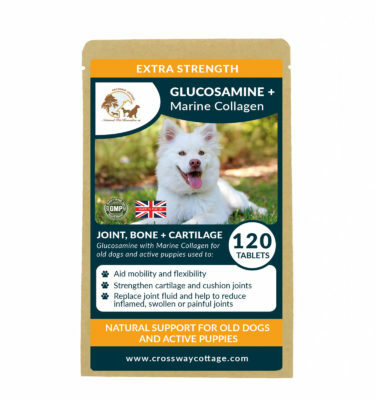 Glucosamine provides the building blocks to synthesise new cartilage. 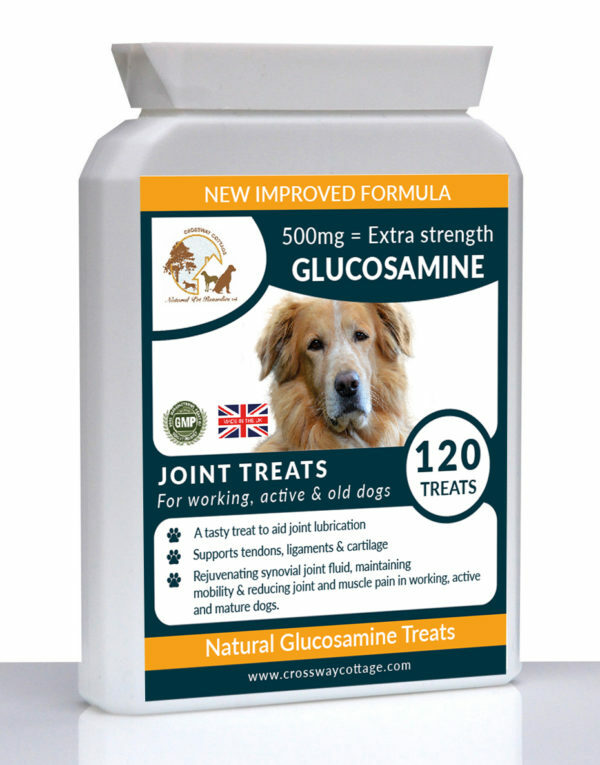 Glucosamine is the building block necessary for the production of the substances called glycosaminoglycans. The glycosaminoglycans are combined with hyaluronic acid to make the substance proteoglycans. The proteoglycans and collagen are the main structures of cartilage. Manganese Some of the health benefits of manganese include a benefits to healthy bone structure, bone metabolism, and helping to create essential enzymes for building bones. 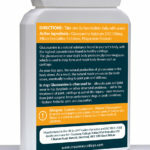 It also acts as a co-enzyme to assist metabolic activity. 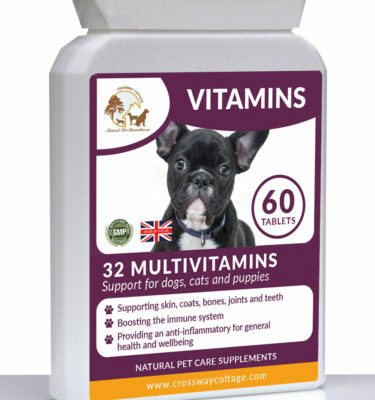 We know from animal studies that very low intakes of manganese are associated with poor bone formation. This phenomenon is thought to be due to altered formation of the protein matrix that keeps minerals like calcium in place. Quote from World’s Healthiest foods.com “it’s worth pointing out that among our 85 WH Foods that rank as excellent, very good, or good sources of manganese, none are animal foods. That’s because animal foods are typically low in manganese, and provide 5% or less of the DV” This is why a supplement in your pets food containing Manganese is essential for their health. Prompt delivery. Item as described. Excellent customer service. This product really does the job we noticed the results after a week. I will definitely order these vitamins again. Thank you so much for recommending it to us Debbie.